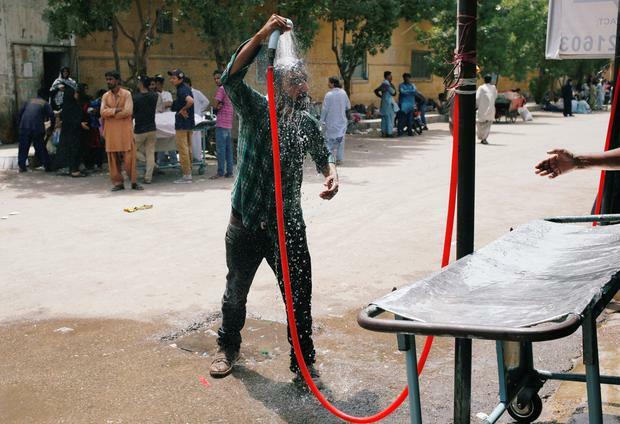 A heatwave has killed 65 people in Pakistan's southern city of Karachi over the past three days, a social welfare organisation said on Tuesday, amid fears the death toll could climb as the high temperatures persist. Faisal Edhi, who runs the Edhi Foundation that operates morgues and an ambulance service in Pakistan's biggest city, said the deaths occurred mostly in the poor areas of Karachi. "Sixty-five people have died over the last three days," Edhi told Reuters. "We have the bodies in our cold storage facilities and their neighbourhood doctors have said they died of heat-stroke." “Only doctors and hospitals can decide whether the cause of death was heat-stroke or not. I categorically reject that people have died due to heat-stroke in Karachi," Pechuho was quoted as saying. "They work around heaters and boilers in textile factories and there is eight to nine hours of (scheduled power outages) in these areas," he said.